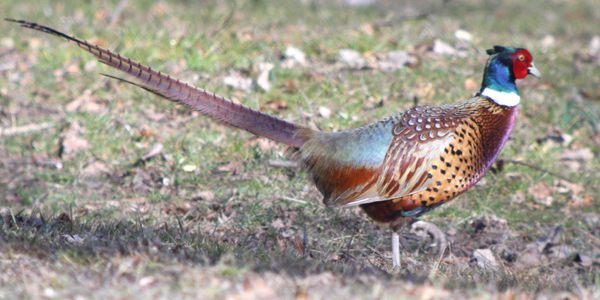 As I described in my recent blog post about my walk across Queens, I was fortunate enough to have a male Ring-necked Pheasant Phasianus colchicus cross my path as I made my way through the Kissena Corridor Park. 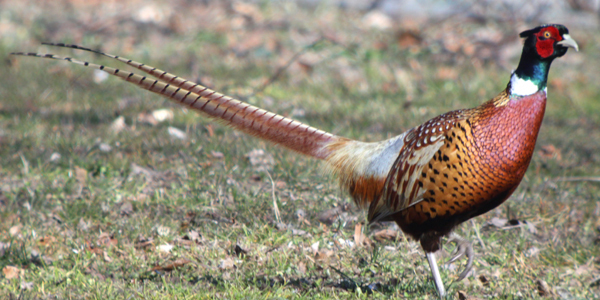 It was perhaps the most cooperative pheasant ever; though Europeans mostly refer to P. colchicus as Common Pheasant it is not so common anymore in New York State since the state stopped stocking them for hunters, and it is probably only a matter of time before the introduced species is all but extirpated. 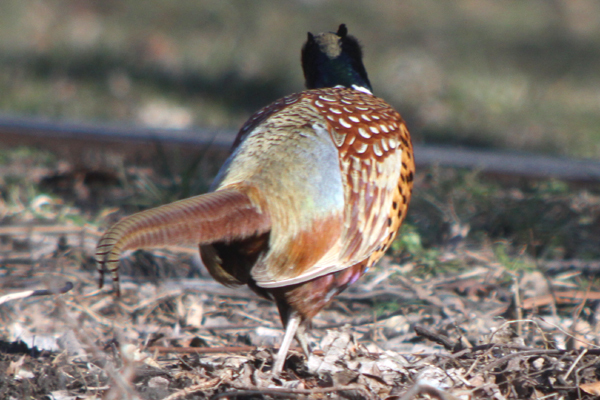 Already, whenever I bring up Ring-necked Pheasants among long-time Queens birders I have to prepare myself for the sad litany of locations where they used to be found but are found no more. 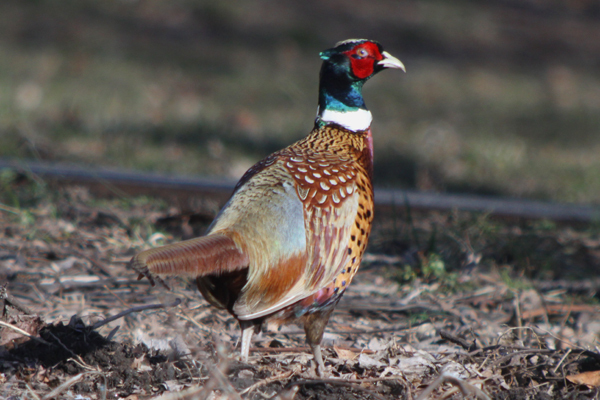 Sad as the gradual decline of the pheasant in New York State might be the loss of this gorgeous non-native species is more than offset by the near-miraculous return and spread of the Wild Turkey, a bird that many thought had gobbled its last in the Empire State. But I digress. 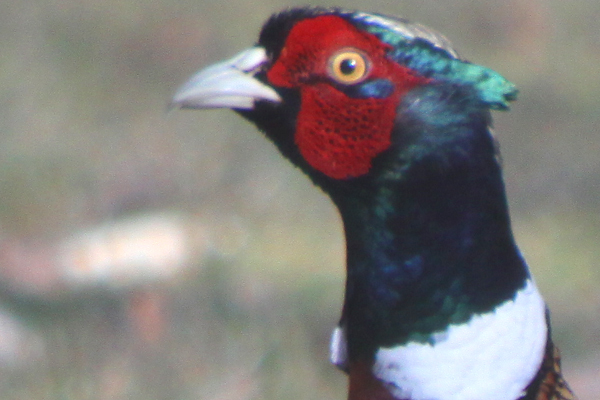 This post, after all, is supposed to be about the amazingly beautiful and confiding Ring-necked Pheasant that I digiscoped over a five-minute period recently. I really have nothing more to add other than the picture. Enjoy! You can see the devilish horns of an invasive species quite nicely on the third picture. Okay, Mr. Moores, I agree these are gorgeous birds pretty much anywhere. 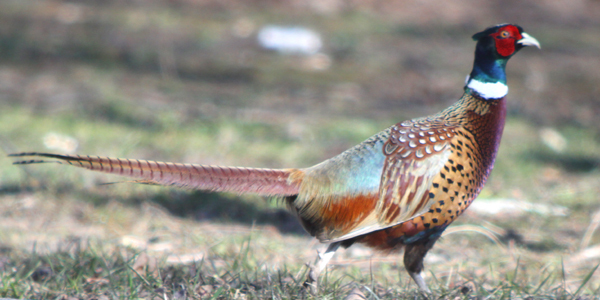 And of course the pics do the beauty of the bird justice. Nice! 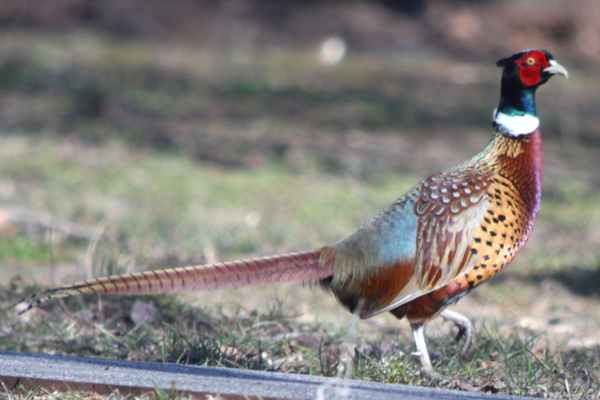 I remember I walked my dog through the park last year and I seen this bird just wandering around. I was pretty shocked because I lived in Flushing my whole life and I never ever seen one. 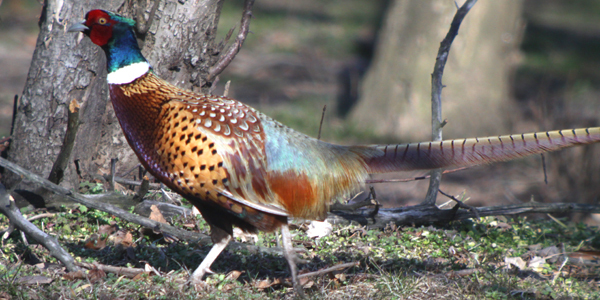 Since I moved near the Corridor, I see them almost daily and once in Kissena Park running around from bush to bush near the entrance on Kissena Blvd. 10 minutes ago, I just had the pleasure of seeing a rabbit running across the path in front of me. Love your site! 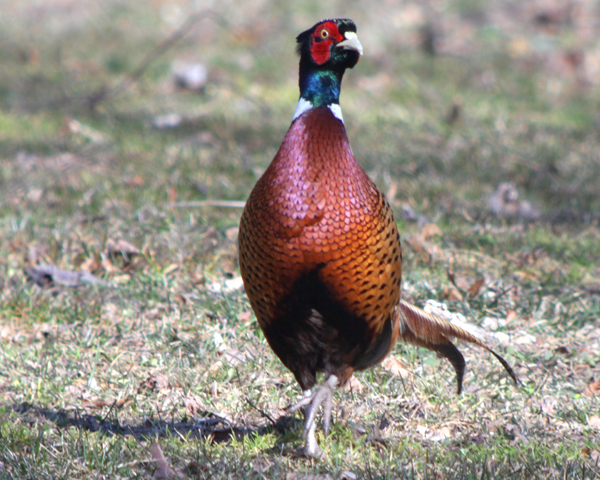 A co-worker saw one on the St. John’s campus this morning, so these birds have ventured beyond Kissena (but not too far). Research led me to your blog. I can’t seem to load the photo, but I appreciate the info here. 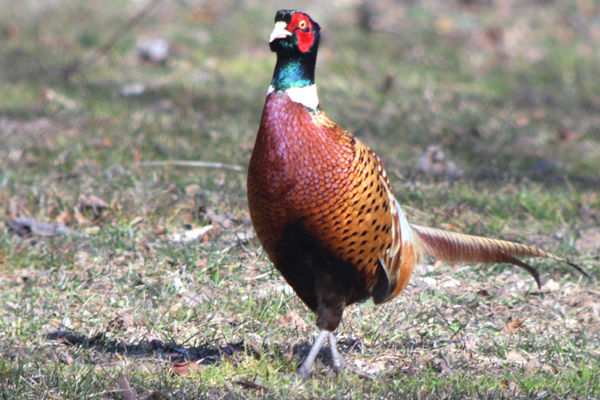 Where Are You Birding This Second Weekend of March 2010?